It is almost a tradition for Premier League fans to celebrate being given a penalty as if they had just scored a goal. But some goalkeepers in the competition have made a name for themselves by regularly frustrating opponents from the spot. Dmitri Kharin is one such player. 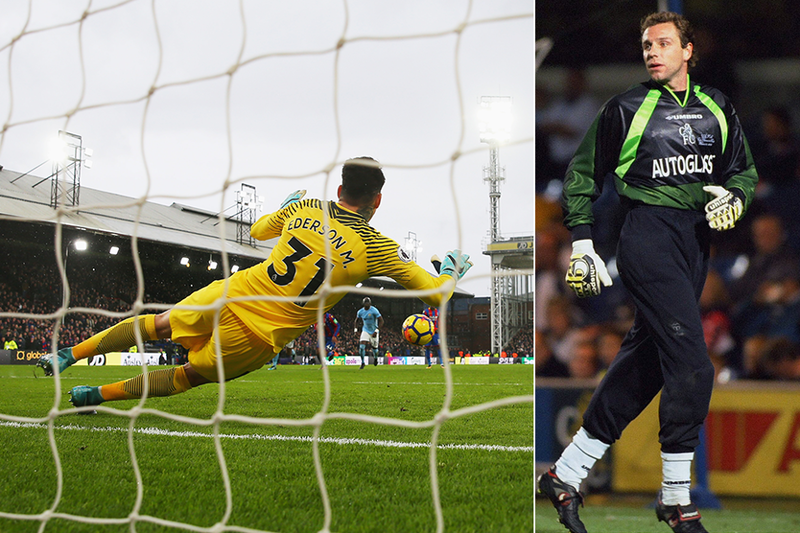 The Russian, who represented Chelsea for seven years from 1992, is statistically the best Premier League goalkeeper when it comes to saving spot-kicks. He successfully kept out five of the 11 he faced, a save rate of 45.45 per cent. Three current PL goalkeepers are in the top 10, though such penalty prowess has not proven enough for them to presently be first choice at their respective clubs. They are AFC Bournemouth's Artur Boruc, Burnley's Tom Heaton, and Simon Mignolet, of Liverpool. Two other goalkeepers new to the league for 2017/18 could be penalty kings of the future. Ederson has saved both of the penalties he has faced for Manchester City, denying Crystal Palace's Luka Milivojevic and Arsenal's Pierre-Emerick Aubameyang, while Brighton & Hove Albion's Mat Ryan has been beaten only one of three times. Both have a long way to go if they are to break the record for most individual penalty saves. That feat belongs to David James, the goalkeeper who has made the most appearances in the PL, with 572. James, who played for Liverpool, Aston Villa, West Ham United, Man City and Portsmouth, saved 13 spot-kicks.